Make sure your wine glass stands out in the crowd with the help of our Awesome Aussie Wildlife. 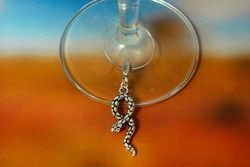 This snake wine glass charm will make your wine stands out in the crowd at your next party or bbq. 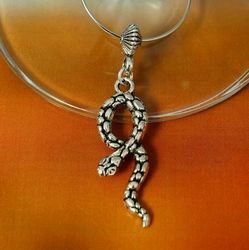 These snake wine glass charms make great gifts for family and friends here and overseas. 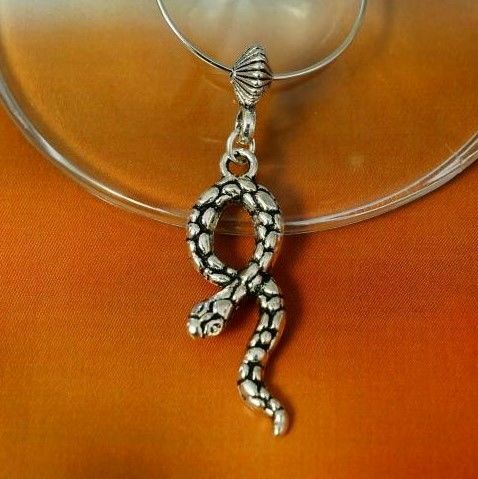 The snake charm is 7mm L x 3mm W x 34mm H. The snake charm is made from Tibetan silver and made into this beautiful wine glass charm here in Australia.